A busload of young boys are on a field trip. They are excited – their summer session of school is over, and this is to be the outing to celebrate. The boys jostle on the bus. It is noisy. One of them covers his ears. They are all laughing. One of their friends is taking a video (which will later be shown on Yemen’s al-Massira television). The video shows the universal joy of being an adolescent, of being filled with anticipation at the field trip. Along the way, the bus stops at a crowded market in the town of Dahyan, in the Saada governorate in Yemen’s north, on the border with Saudi Arabia. This governorate, or province, is largely in support of the Ansarullah insurgency and is the center of regular aerial bombings by Saudi Arabia and the United Arab Emirates. The teachers with the young boys make the stop to pick up supplies for the trip: snacks and water. The excitement on the bus does not abate. It is just then, in this crowded market, that Saudi aircraft fire on the bus. It is a direct strike, according to witnesses. The Red Cross now says that 50 children died in the strike (11 adults were killed). Among the 79 wounded, 56 are children – many fighting for their lives. A report released by the United Nations Children’s Fund (UNICEF) this year suggested that this kind of violence is not unusual. Five children have been killed or injured in Yemen each day since the start of the Saudi-UAE war on the rebel-held areas of that country in March 2015. The numbers are shocking, but also numbing – nearly every child in those parts of Yemen (11 million of them) needs humanitarian assistance, with millions of children acutely malnourished, with no safe drinking water or sanitation, with few schools, with cholera and acute diarrhea as normal features of life and with regular bombings and shootings around them. Funerals in places of war and occupation are not sober affairs. They are heightened by the anger at the manner of death, but more so they are political rallies of great emotion. Bomb strikes are routine; Saudi and Emirati planes might have struck this funeral as they did in 2016, when they killed about 155 people in the al-Kubra Hall in Sanaa. Chants against Saudi Arabia rent the air. They were mingled with chants against the United States. No one in Yemen is unaware of the US complicity in this war. There is barely remorse in the United States, from which the weapons of death go to Saudi Arabia and the UAE. It was a US-made plane that fired US-made bombs on these Yemeni children. Yemeni journalist Nasser Arrabyee took a picture of part of the 500-pound (227-kilogram) Mark 82 bomb used to kill the children. This bomb was made by General Dynamics at its plant in Garland, Texas. In 2017, bombs from this factory made their way to resupply the arsenal of Saudi Arabia, whose free-fall bombs were getting low as a result of the war on Yemen. General Dynamics made millions of dollars on this sale. This same type of bomb was used in the Saudi strike on the funeral in Sanaa in 2016. US weapons firms have made hundreds of billions of dollars selling weaponry to Saudi Arabia and the UAE. But what happened is well known and has been well known for a very long time. In other words, any war crime committed in Yemen by the Saudis and the Emiratis is a war crime committed by the governments in London and Washington, which continue to supply these monarchies with billions of dollars’ worth of deadly weaponry that can be used to kill children on a school trip. On September 6, the various parties to this war will go to Geneva to try to restart impossible talks. The contending Yemeni parties have said they will come to the table. It is obvious that this war is seen by Saudi Arabia and the UAE as a way to weaken Iran, although Iran’s actual role in Yemen is dubious. Nonetheless, Iran has said it awaits an invitation from the UN to come to Geneva. It would like to hold face-to-face talks with its adversaries, with the UN as arbiter. Iran has submitted a four-point plan to give the talks some heft, including an end to the aerial bombardments and an immediate ceasefire. But there is no stomach in Saudi Arabia to take Iran’s offer seriously. It is unlikely that Saudi Arabia, absent serious external pressure, will stop this war. The integrity of the current king and his son – and in many ways the monarchy itself – is enveloped in this war. Pressure will not come from the US government. It is happy enough to see its weapons dealers make enormous profits – the kind of “Made in America” that pleases President Donald Trump. In the United Nations Security Council, the US pressured the members not to demand an independent inquiry. All that was asked for was a “credible” investigation. That means there will be no real investigation, as there was none for the Sanaa funeral bombing in 2016. Staff members at UNICEF, meanwhile, have been heartbroken. The children had UNICEF backpacks, part of the aid that keeps the country from total breakdown. “There’s obviously a war on children,” said Juliette Touma of UNICEF. This is the hour when children die. This is the hour when adults fail them, the hour of bombings and impossible negotiations. Filed under: AngloZionist Empire, Arab Zionists, Children, Decisive Storm, GCC, Genocide, MBS, Saudia, Siege on Yemen, US Foreign Policy, US Lies, USA, War on Yemen, Wars for Israel, Yemen, Yemeni Holocaust, Zionist entity |	Comments Off on The Hour When Children Die: What Is Going on in Yemen? Yemen’s naval force hit on Wednesday a Saudi warship off the western coast, Al-Massirah news network reported. The Saudi-led aggression, which has been launching brutal aggression against the impoverished Arab country since March 2015, did not report the Yemeni retaliatory attack. “Al-Dammam” is the most developed Saudi warships to be hit by the Yemeni naval force, Al-Massirah reported, adding that the warship belongs to the Saudi Royal Navy. Targeting the Saudi warship on Wednesday comes after Yemen’s Naval Force carried out 23 qualitative operations against Emirati forces in Mokha port, in which heavy losses were inflicted upon the aggression forces. 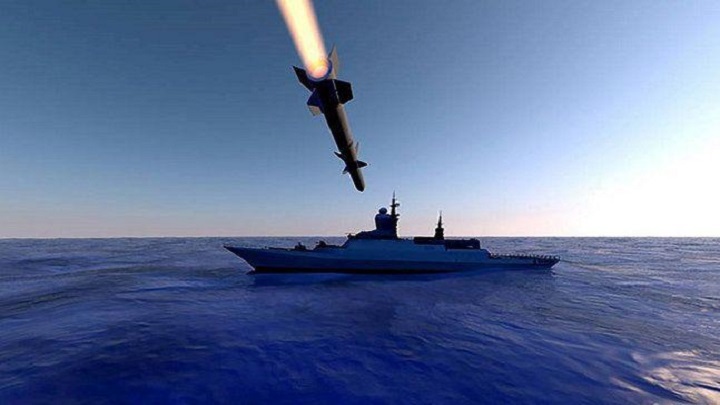 Earlier last month an Emirati ship was hit by two Yemen rockets in a failed naval drop attempt. On March 25, the Yemeni Missiles Force, that’s allied to the Houthis, announced in an official statement that it had targeted the King Khalid international airport in the Saudi capita of Riyadh with a Burkan 2H medium-range ballistic missile. The Abha regional airport in the southwestern province of Asir was also targeted by a Qaher 2M ballistic missile of the Yemeni Missiles Force, according to the official statement. Additionally. the Yemeni Missiles Force shelled the airports of Najran and Jizan provinces in southern Saudi Arabia with several Bader-1 rockets. The is type of artillery rockets was first unveiled on March 22. Meanwhile, the Saudi-led coalition announced that its air defenses had successfully intercepted a ballistic missile over the city of Riyadh. However, a video published by locals from Riyadh showed that one of the US-made Patriot missiles, which had been launched to intercept the Houthis’ missile, had crashed in a civilian area. Saudi sources reported that several civilians were injured in the incident. The coalition didn’t mention anything about the remaining missiles that had targeted the provinces of Asir, Jizan and Najran. However, Saudi sources reported that many air defense missiles had been launched in these provinces. The Yemeni Missiles Force said in its official statement that the missile strike had been carried out to commemorate the third anniversary of the Saudi attack on Yemen. 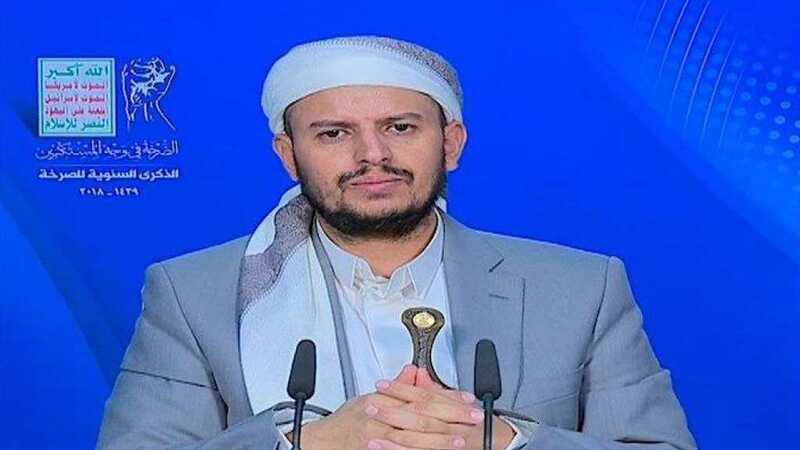 Earlier, the Houthis’ leader Abdul-Malik Badreddin al-Houthi promised during a televised speech that the Yemeni Missiles Force will witness significant progress this year. BEIRUT, LEBANON (7:00 A.M.) – Last night, the Houthi forces unleashed a flurry of missiles into Saudi Arabia, targeting several airports and military installations near the Kingdom’s capital city. According to the Saudi authorities, their air defense managed to shoot down seven of the Houthi missiles. However, the fragments of one Houthi missile landed inside Riyadh, killing one person and wounding two others. “With credit to the Saudi Royal Air Defense Forces, all seven ballistic missiles were intercepted and destroyed. According to preliminary information, the interception resulted in fragments raining on a few residential neighborhoods and, at the issuance of this statement, the loss of life of an Egyptian resident, in addition to material damage to civilian objects-the details of which will shortly be announced by the relevant authorities,” according to Col. Turki Al Maliki, spokesperson for the Saudi Coalition forces. BEIRUT, LEBANON (8:30 A.M.) – The Houthi forces claimed their air defense units downed another Saudi jet over the Sana’a countryside this morning. According to a report released by Saba News Agency, the Saudi Coalition’s F-15 was bombing the Yemeni capital when the Houthi forces shot down the warplane. The Saudi Coalition has not reported any warplane being downed over Yemen. If this report proves true, this will be the second Coalition warplane that has crashed in Yemen in the last 48 hours. BEIRUT, LEBANON (2:45 P.M.) – Earlier today, the Houthi forces claimed that their air defense units downed a Saudi Coalition warplane as it was bombing the eastern countryside of Sana’a. At the time of the crash, there was no confirmation from the Saudi Coalition regarding the fate of their warplane. While the Saudi Coalition did confirm the loss of their aircraft, they did not specify the reason for the crash. As a result of today’s crash, the Saudi Coalition has now lost two warplanes in the last 48 hours in northern Yemen. The Yemeni TV channel Al Masirah released a video showing the moment when the Houthis’ surface-to-air missile hit a F-15 warplane of the Saudi-led coalition over the Yemeni capital of Sanaa. According to Al Masirah, the F-15 was downed on January 7 just few hours after the Houthis shot downed another Saudi-led coalition warplane Panavia Tornado multirole – over the area of Kitaf wa al-Boqe’e district in the province of Sa’ada. The US-backed Saudi monarchy and its allied Gulf oil sheikdoms have dramatically escalated their bombing campaign against Yemen, the poorest nation in the Middle East, killing scores of civilians within the last few days. In the bloodiest of the airstrikes, Saudi warplanes targeted a crowded marketplace in Yemen’s southwestern Taiz province on Tuesday, killing 54 civilians. While coverage of the bloodbath by the US and Western media has been scarce, Yemen’s Al Masirah television network published photos on its website showing the market’s bombed-out shops and the dismembered remains of slaughtered civilians. It reported that body parts had been thrown hundreds of yards from the blast sites. Among the dead were at least eight children. Another 32 people were wounded in the bombing, including six children. On the same day, warplanes attacked a farm in the al-Tuhayta district of Yemen’s western Hodeida province killing an entire family of 14, including women and children. Yemeni sources reported that Saudi and allied warplanes carried out more than 45 airstrikes on Wednesday targeting several Yemeni cities and killing at least another six civilians, including a family of five whose house was targeted in the port city of Hodeida. According to the Al Masirah television network the number of Yemenis killed and wounded in Saudi airstrikes since the beginning of December had risen to 600 before the latest round of casualties beginning on Tuesday. This bloody new phase in the more than 1,000-day-old war by the wealthy and reactionary Arab monarchies against impoverished Yemen is driven by the House of Saud’s frustration over its inability to shift the military stalemate and made possible by the unrestrained support from Riyadh’s Western allies, principally the US and Britain. The stepped up bombing campaign has come partly in response to the failure of a Saudi-backed coup by the former Yemeni dictator Ali Abdullah Saleh against his erstwhile allies, the Houthi rebel movement. The abortive effort ended in Saleh’s death and the routing of his supporters earlier this month. Riyadh has also been shaken by the firing of missiles from Yemen targeting both the international airport and the House of Saud’s royal palace. Both missiles were brought down without causing any casualties. Washington has long relied upon the Saudi monarchy as a pillar of reaction in the Arab world, arming it to the teeth and in the process reaping vast profits for US arms corporations. During his trip to Saudi Arabia in May, US President Donald Trump signed a $110 billion arms deal with the Saudi regime. While the agreement represented the single largest arms deal in US history, it represented a continuity with the policy pursued by the Democratic administration of Barack Obama, which had struck a $29 billion agreement to sell F-15s the Saudis—representing the previous largest single US arms deal—and had a total of $100 billion worth of weaponry slated for sale to the kingdom. In addition to providing the warplanes, bombs and missiles being used to slaughter Yemeni civilians, Washington is a direct accomplice and participant in the assault on Yemen, a flagrant war crime that has produced the greatest humanitarian catastrophe on the face of the planet. US Air Force planes are flying refueling missions that keep Saudi fighter bombers in the air, while US intelligence officers are assisting in the targeting of airstrikes and US warships are backing a Saudi sea blockade that is part of a barbaric siege of the country aimed at starving its population into submission. While an estimated 13,600 civilians have lost their lives to the US-backed Saudi military campaign launched in March of 2015, that death toll has been massively eclipsed by the number of lives lost to hunger and disease resulting from the destruction of basic water and sanitary infrastructure, along with factories, farms, medical facilities and other vital resources, and the blockading of food, medicine and humanitarian supplies. Almost three years into the war, 21.2 million people, 82 percent of the population, are in need of humanitarian assistance, lacking access to food, fuel and clean water,. An estimated 8 million people are on the brink of starvation, while soaring food prices have placed essential commodities out of reach for all but the wealthiest layers of Yemeni society. The International Committee of the Red Cross announced last week that the number of cholera cases had topped 1 million, the worst epidemic in modern history, while the country has also been hit by an outbreak of diphtheria, a disease that has been almost entirely eradicated in the rest of the world. The apocalyptic scale of the human suffering in Yemen has moved some in the West to make timid criticisms of the Saudi regime. Thus, French President Emmanuel Macron reportedly called Saudi King Salman on December 24 to advocate a “complete lifting’ of the blockade of Yemen. Macron made no move, however, to amend the 455 million euro arms deal struck with Riyadh by his predecessor, François Hollande, providing weapons being used to murder Yemeni civilians. The reality is that the overwhelming majority of deaths have been caused by illegal Saudi aggression. The war, from the standpoint of both Riyadh and Washington, moreover, is not “absurd,” but rather part of a broader regional strategy being pursued by US imperialism to prepare for a military confrontation with Iran, which has emerged as an obstacle to the drive to assert American hegemony over the oil-rich Middle East. Finally, the New York Times published an editorial Thursday saturated with hypocrisy and deceit. Titled “The Yemen Crucible,” it accuses the Trump administration of applying “a double standard” to the catastrophe in Yemen by denouncing alleged Iranian arms support for the Houthi rebels, while “having nothing bad to say” about the Saudi bombing campaign. The Times, a mouthpiece for the Democratic Party establishment, raises the possibility that Iran “could be in violation” of a UN Security Council resolution barring it from the export of missiles and other weapons, and guilty of “escalating a crisis” that could lead to war with Saudi Arabia. Referring to the recent performance of the US ambassador to the United Nations, Nikki Haley, who appeared at a US military hangar in Washington with what was claimed to be debris from an Iranian-supplied missile fire by the Houthi rebels at Riyadh, the newspaper acknowledged that the presentation recalled the “weapons of mass destruction” speech delivered by then US Secretary of State Colin Powell to the UN Security Council in preparation for the US invasion of Iraq. Of course the Times supported that war of aggression in 2003 and became one of the main propagandists of the “weapons of mass destruction” lie used to justify it. These lies and omissions make clear that if and when Washington embarks on a potentially world catastrophic war against Iran, the “newspaper of record” will once again provide its services as a propaganda organ for American militarism. فكان ان قام الرئيس جمال عبد الناصر بتقديم الدعم العسكري والسياسي والمعنوي لثورة الجنوب اليمني ضدّ الاحتلال البريطاني والتي انتهت بانتصار الثورة اليمنية وإعلان استقلال الجنوب بتاريخ 30/11/1967. – البحر الأسود وبحر إيجه كونهما متصلان عبر مضائق البوسفور والدردنيل . بشراء أراض في الجزيرة، خاصة على الساحل الواقع في الجهة الشرقية منها، لصالح شركات إسرائيلية مسجلة في دول أوروبية نتحفظ على تسميتها لأسباب المهنة ، وهي في الحقيقة شركات تملكها الكيرين كاييمت أو «دائرة أراضي إسرائيل». علماً انّ هذه القاعدة تحتوي على أطول مدرج طائرات في القارة الأفريقية بطول أربعة آلاف ومائة واربعين متراً، أيّ انّ بإمكان كافة الطائرات الأميركية والإسرائيلية الهبوط في هذه القاعدة والإقلاع منها بما في ذلك القاذفات الاستراتيجية الأميركية من طراز B 52…! وقد باشرت البحرية الإماراتية بإقامة عنابر لإسكان الجنود واُخرى كمستودعات للذخائر الحربية والتموين والتجهيزات الأخرى والتي يؤكد حجم طاقتها الاستيعابية حاجة بحرية محمد بن زايد وتشير بكلّ وضوح إلى أنها ليست سوى مستودعات للجيش الأميركي البحرية ومعه البحرية الإسرائيلية ولا علاقة لها بأيّ من الأكاذيب التي تنشرها مشيخة بن زايد حول دورها في حماية ممرّ باب المندب الهامّ على مستوى الملاحة الدولية فضلاً عن «أمن العرب والمسلمين في حربهم العادلة ضدّ الكيان الصهيوني».